The former Georgian parliament speaker says President Saakashvili's resignation is the only way out of the country's current problems. Meanwhile, Saakashvili is at the EU Eastern Partnership summit in Prague. Speaking exclusively to RT, Nino Burdzhanadze, who is now an opposition leader, says Saakashvili’s resignation is the only solution the protesters will accept. “We saw President Saakashvili as a source of instability in this country and a threat to democracy. That is why we are calling for his resignation. 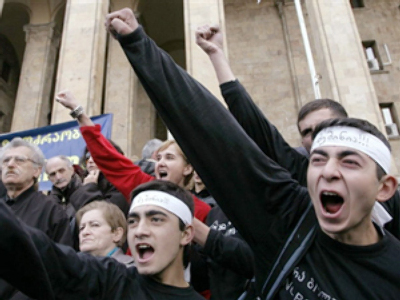 The strength of the Georgian opposition is that we have several parties with their leaders. Saakashvili's resignation is not an easy task and we need coordination and common efforts to achieve this task,” Burdzhanadze said. 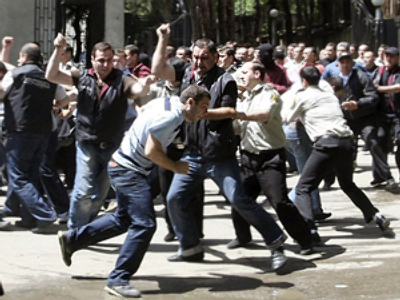 The violent clashes resulted from flawed Georgian policies. That's according to Russia's envoy to NATO, Dmitry Rogozin. 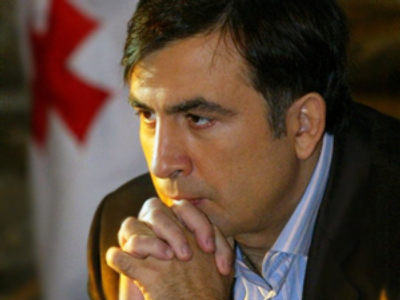 “Saakashvili has made every mistake he could possibly make during his presidential term. 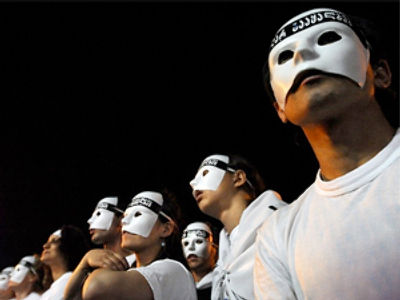 He defaced his own country, got it caught up in a violent civil war, and is trying to get other countries and even political organizations such as NATO involved in his murky business. And if NATO continues to do Saakashvili's bidding, its reputation will be spoiled,” Rogozin echoed Burdzhanadze. Meanwhile, Saakashvili has taken part in the EU summit in Prague, along with leaders from five other former Soviet countries. There, the heads of 33 nations have approved an agreement on the Eastern Partnership – a deal meant to increase political and economic ties between the Eastern countries and the EU. Under the agreement, the EU will offer its eastern neighbours free trade, millions in economic aid and visa-free travel. However, Moscow has eyed the Eastern Partnership plan with distrust, calling it yet another way to intrude into its traditional sphere of influence.